Two things to expect from Josh Brooks' new album: you're going to cry. You're also going to laugh really hard. Brooks is an erudite lyricist whose songs feel more literary than anything else; the guitars and melodies are great, but the words are doing the heavy lifting here. It shouldn't surprise you that this album primarily focuses on faith and the hypocrisies of moral absolutism. 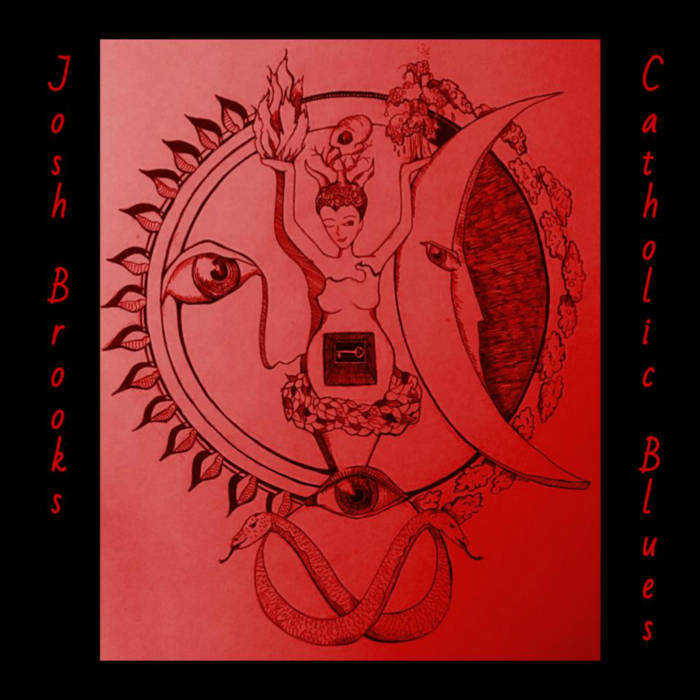 Although this album is just Brooks and his guitar, the nine songs introduce us to vivid characters struggling to survive in a world that simply won't conform itself to the binaries of moral scripture. It's not all bad news, though. "Helen of the Internet" -- which a quick Googling shows may be a reference to one of the first web comics in history -- is a truly delightful collection of tech double entendre. "Pessimist Blues" and "Anniversary" have a warmer view on relationships -- flaws and all. But these simply leaven the truly masterful, sweeping sense of isolation throughout the rest of the album. I didn't know that it could come in so many flavors -- the benefits, I suppose, of Jewish guilt over Catholic guilt. Brooks' reedy falsetto truly sounds as if he could lift his words from his mouth to God's ear.